A new production of Yevhen Stankovych’s folk opera ballet When the Fern Blooms is shown as an entry in the program of the 4th Festival of Arts “Velvet Season in the Odesa Opera.” This work is a unique artistic phenomenon which was created on the basis of folk rituals, folklore, works by Nikolai Gogol and heroic epics. Since 1977, when the folk opera was created, it has been unable to find a complete realization on the grand stage. However, thanks to the efforts of the Lviv National Opera team, led by the stage director, People’s Artist of Ukraine Vasyl Vovkun, we will finally see this unique work of art realized in full. The audience can expect unforgettable impressions from a combination of ancient Ukrainian folklore and contemporary music. Authentic folk choir songs and addition of folk instruments to the orchestral score make When the Fern Blooms into a vivid example of the neo-folklore turn in the opera art. 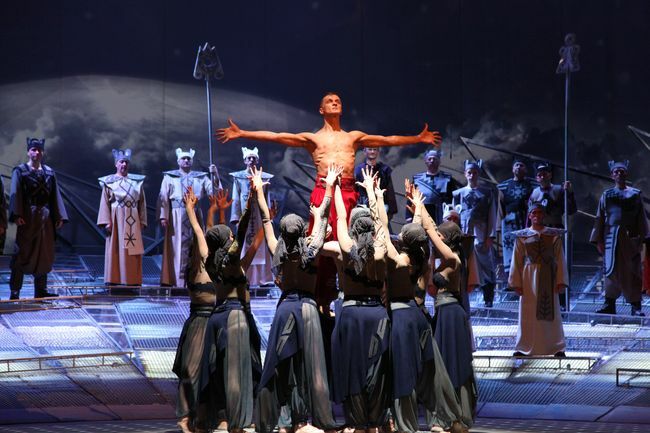 The production involves opera soloists, ballet and orchestra of the Solomiia Krushelnytska Lviv National Academic Opera and Ballet Theater.